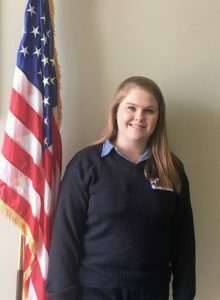 While attending college in 2007, Kerry Flynn began working in Armstrong Ambulance’s billing department. After receiving her Emergency Medical Dispatch (EMD) certification, Kerry began working on Armstrong Ambulance’s communications team. As an Armstrong Ambulance Dispatcher, Kerry performs a multitude of jobs and gracefully balances the needs of patients, facilities, employees, and the company. Kerry has a natural talent for emergency dispatching and is commended by her peers for her ability to solve complex problems. Kerry’s nomination for Stars of Life comes as no surprise. She consistently receives positive feedback from crews, management, and facilities regarding the exceptional job she performs. Kerry constantly demonstrates advanced knowledge of dispatching and company procedures, and excels as an Emergency Medical Dispatcher. She is dynamic, patient-centric, friendly, and energetic. Kerry excels in every facet of her role and Armstrong Ambulance Service is proud to nominate her as a Star of Life.